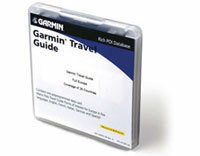 Garmin nüvi 670 (010-00540-31) €0.00 including FREE DELIVERY - buy online at mysatnav.ie Ireland - FREE SHIPPING. 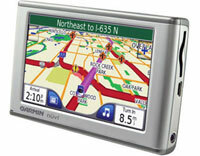 The nüvi 670 comes with built-in street level maps for both Europe and North America, a built-in FM transmitter that allows you to wirelessly transmit audio, including MP3s and phonecalls through the vehicle's stereo system and 1.2GB of internal memory for storage of additional maps, MP3s and audio books. 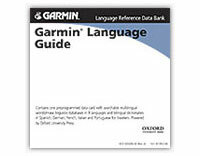 The Garmin nüvi 670 is preloaded with the latest Mapsource; City Navigator NT street-level maps for Europe and North America, with detailed mapping of Ireland. Based on Q2, 2006 Navteq map data, there is street-level detail for every town and village in the country and all the recent major road additions and upgrades are available including the M4 Toll Road and M1 upgrade. Similar to the popular features of the nüvi 660, the nüvi 670 has Bluetooth® wireless capability which means that the GPS can act as a mobile phone hands-free in your car or hire car. You can also use the nüvi 670 to send and receive SMS text messages. Following on from the best selling 660, the nüvi 670 comes with full maps of North America, a FM transmitter and an additional 1.2GB of internal memory to hold MP3s, audiobooks and so on. 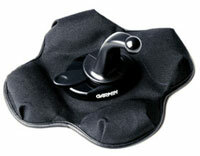 We strongly recommend this unit for frequent travellers to North America. For infrequent travellers, say once every 2-3 years, we recommend the nüvi 660 as you can also purchase an North American SD card for your GPS at a later date.